There are many elements to putting a bridal look together. Obviously there’s the dress, but there’s also jewelry, shoes, undergarments, the veil, hair, and, of course, makeup. Every bride wants absolutely flawless makeup on her wedding day, but very often, their makeup doesn’t turn out the way they envisioned. The problem usually comes down to selecting the wrong bridal makeup artist. At Vatican Banquet Hall, we’ve seen our share of brides who have been very upset about their wedding makeup—just another reason why you should take advantage of our vendor suggestions! 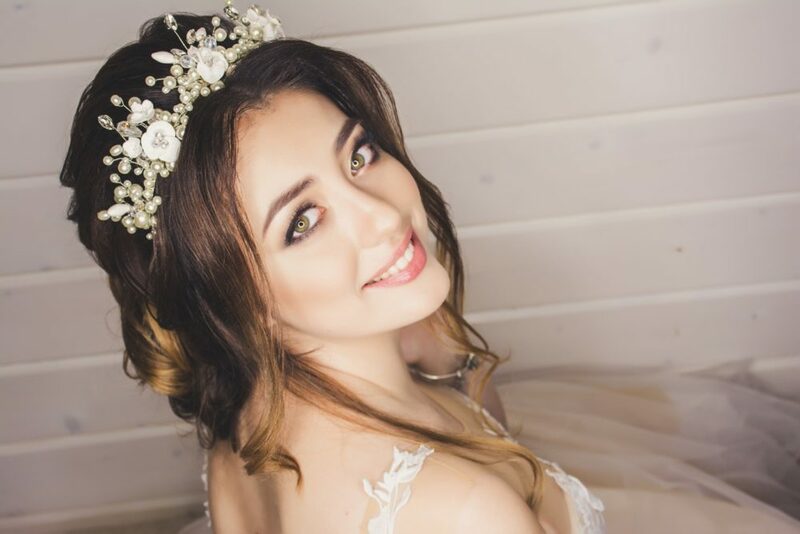 In order to help you make sure you’re hiring the right bridal makeup artist for your wedding, be sure to ask these important questions during your consultation. Every good bridal makeup artist should have ready examples of their work to show. What you’ll be specifically looking for is bridal makeup, but any sort of beauty makeup will do. Also, if possible, try to research and find reviews and feedback on the makeup artist you’re considering. If a bridal makeup artist doesn’t have either work to show or reviews anywhere, that is a huge red flag, and you should move on to the next candidate. Do You Provide a Makeup Trial? Another good trait of a strong bridal makeup artist is their willingness to provide a makeup trial for you. Some do this for free, and some do it for a discounted fee. Having a makeup trial done is important if you’re having any doubts about your wedding look, or simply if you want to get a good idea of what you’ll look like on the day. If you’re not sure about what makeup style you want, try to bring a few photos with you to the trial so that the bridal makeup artist can get some ideas for you. Not only will a trial help you to see what you’ll look like; it will also alert you if any unfamiliar products cause your skin to react badly. What Happens if You Aren’t Able to Make It? People get sick. People have family emergencies. It happens, so trying to control it is futile. What you can do is make sure you’re prepared if it does happen to your bridal makeup artist. Ask him or her what their plan is in this situation. If you are not comfortable with their plan, find someone else who gives you peace of mind. Will You Also Put Makeup on My Bridesmaids? This is a tricky area, so be sure to ask the bridal makeup artist you’re considering up front about this. Many brides just assume that their makeup artist will also put makeup on their bridesmaids, but think about it: that is a lot of extra work, and depending on how many bridesmaids you have, the artist may not even physically be able to do that. First of all, decide if you even want your bridesmaids to have their makeup done professionally. If you do, you will most likely need to hire additional makeup artists. However, if you only have two or three bridesmaids—or even just a maid of honor—and your makeup artist is willing to do it for an additional fee, great! Just be sure to ask about it in advance. Definitely don’t spring it on him or her on your wedding day. What Sort of Prep do I Need to Do? Some bridal makeup artists want their brides to come already wearing moisturizer and/or their own foundation. Others prefer to begin from scratch with a bare face, and only want to use their own products. Because of this, it’s important to discuss this with your potential makeup artist before the trial, and especially before the wedding day. Will I Need to Buy/Bring My Own Products? As mentioned in the section above, some bridal makeup artists have a wide variety of products that they prefer to use, and some want the bride to bring her own specific products. Furthermore, some makeup artists even ask their brides to purchase their own products. Everyone is different, so it’s very important to discuss this during the consultation period. Will This Makeup Photograph Well? Makeup can either absorb or reflect light. 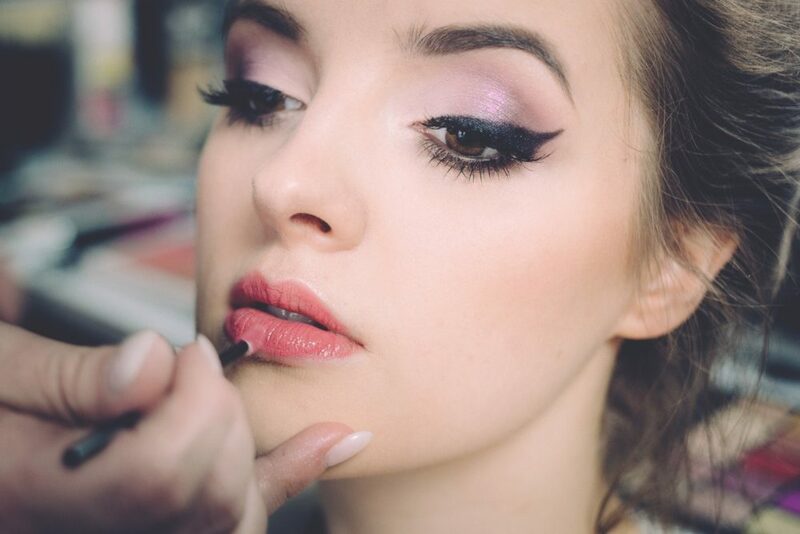 An experienced bridal makeup artist will know what products to use on your face for a look that works beautifully both in person and in photographs. A big mistake that many inexperienced makeup artists make is putting on way too much makeup so that it will show up in pictures, but then in person the bride looks overdone. Make sure to hire someone who knows what they’re doing. What Do I Do About Touch-Ups? 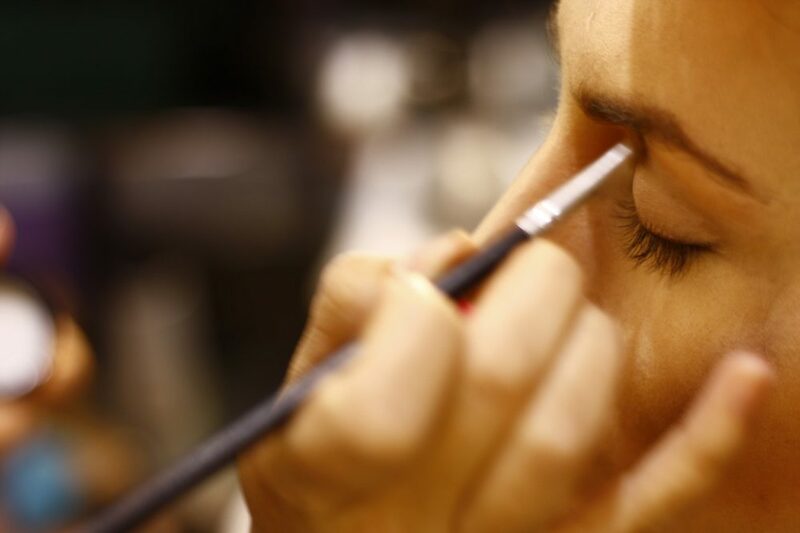 During your wedding day, your makeup may suffer. Tears, heat, and hugs can cause smudging and dissolving. But the photos don’t stop, so you need a touch-up plan. 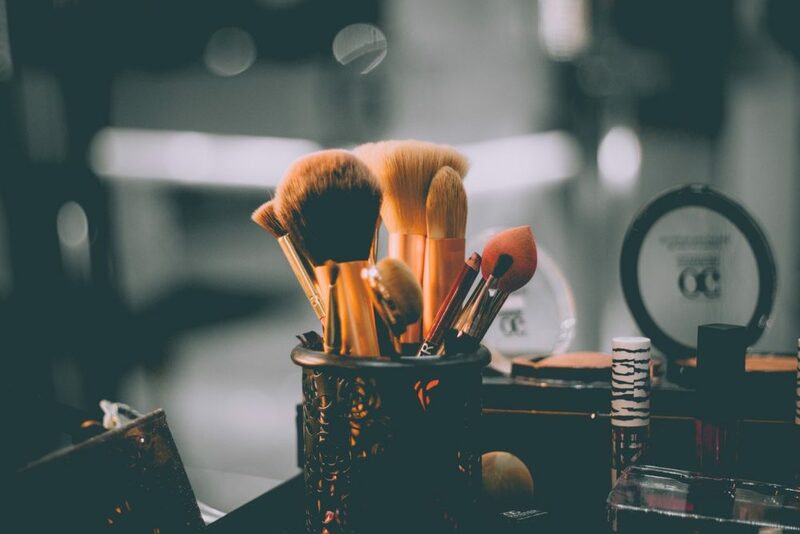 Most makeup artists don’t stick around after they have completed their work, but if this is something you want your artist to do, that is definitely something to discuss with him or her. If you don’t mind if they leave after they’ve finished making you up, ask them their advice on what to do about touch-ups. Will they leave the products they used on you so you can fix your face? Will they show you (or one of your bridesmaids) how to do the techniques they used? Do you have someone assigned to let you know when your makeup is messy? As with any wedding vendor, getting a contract is of the utmost importance. A contract is your safety net in case the bridal makeup artist doesn’t show up, is late, or tries to overcharge you. Make sure the contract includes how they charge and accept payment; rules about who travels to who; overtime fees; how many people are having their makeup done; how long the makeup artist will be staying; who pays for the products, and so on. We sincerely hope that these tips help you in your search to find the perfect bridal makeup artist. It’s important that you feel as beautiful as possible on your wedding day. And if you’re still looking for your perfect wedding venue, don’t hesitate to look around at our gallery or contact us for more information!